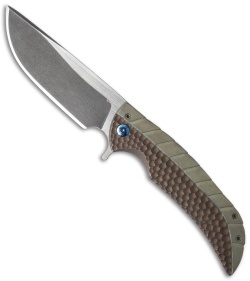 It's the middle of September 2014 and we just got this limited run NGFR model from Ferrum Forge Knifeworks. Beyond the shape of the handle and blade, each knife is unique. 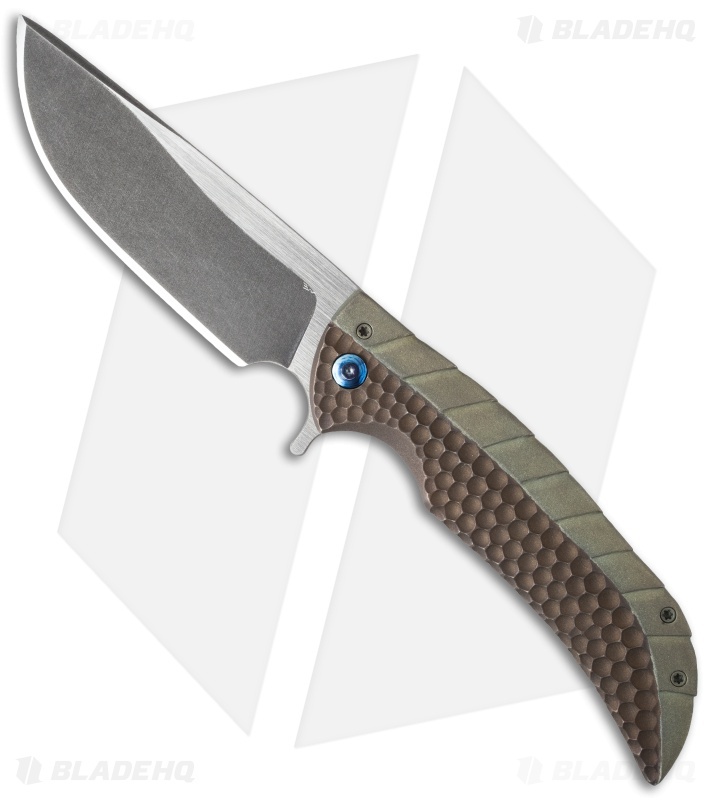 This NGFR has a two-tone finished CPM-4V steel drop point blade with a swedged tip. Acid washed grinds, satin flats and the cutting edge is polished. 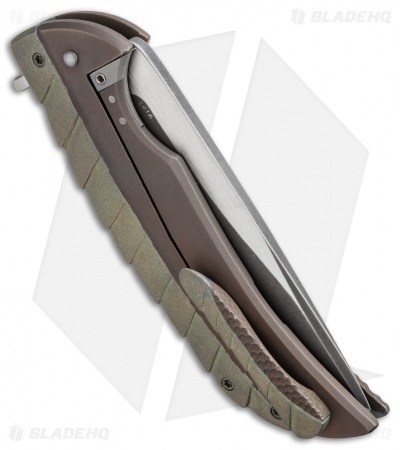 The milled titanium handle and pocket clip are two-tone anodized and features a reptilian pattern. Timascus pivot screw.